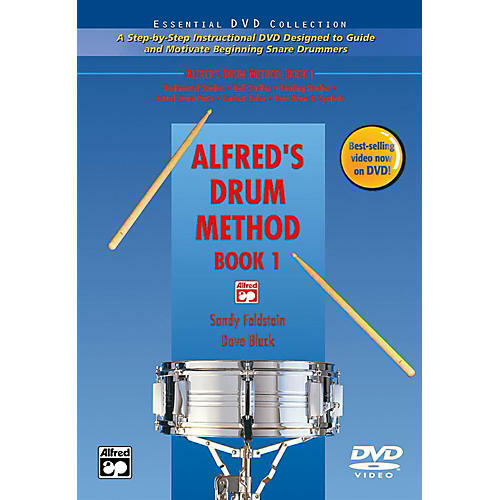 Alfred's Drum Method, Books 1 and 2 are the ideal teaching tools to help prepare beginning players for all styles of snare drum and percussion performance. Book 1 contains 80 pages of sequential instruction covering rudimental studies, roll studies, contest solos, and bass drum and cymbal technique. Book 1 also includes 23 solos suitable for recitals and contests. Book 2 is much more than just a snare drum method! It continues the learning process by covering additional rudimental studies, tonal properties of the snare drum, theme and variations, musical forms, solos and duets. Book 2 also covers traditional rudimental style, corps style (by Jay Wanamaker), orchestral style, accessory instruments, and multiple-percussion techniques. The DVD includes demonstrations of all the rudiments and accessory instruments, plus solo performances by the authors.